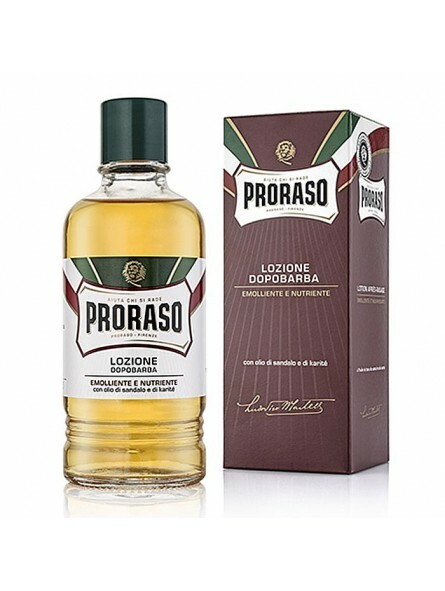 Proraso Sandalwood & Shea Oil Aftershave Splash Lotion 400ml. This legendary splash is the perfect complement for your daily shave ritual. This after shave will refresh and tone your skin after hair removal. The Italian grooming masters elaborate fine products in a traditional way using only the best natural ingredients. This has been specially formulated for dry and sensitive skin. It is enriched with sandalwood and shea butter that will help to maintain the skin balanced. Shea butter allows for smooth skin and helps to keep it hydrated and elastic. Sandalwood has a calming effect on the skin and is anti-inflammatory. Simple to use, just a quick rub and pat onto the face. This is excellent for promoting healthy skin. 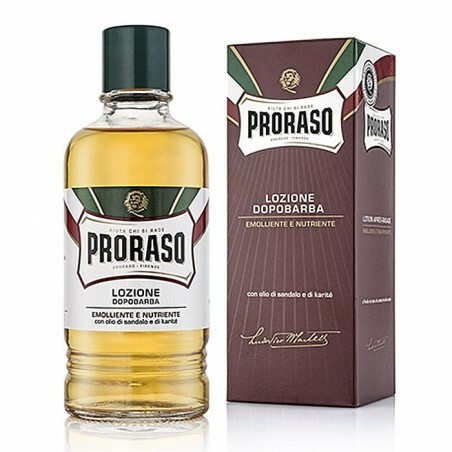 This is a new Proraso formula that uses only natural ingredients. It is free of parabens and silicones, SLS, mineral oils and artificial colours. This product contains alcohol. It cannot be sent by air freight. It is not possible to ship it to: United States of America, Canada, South America, Russia, Ukraine, Africa and Asia.